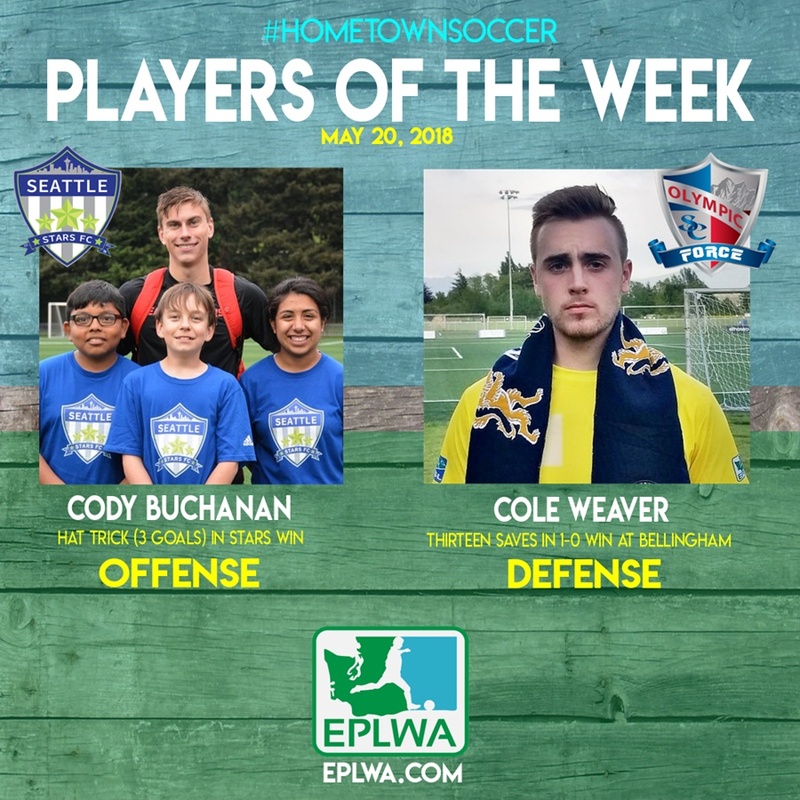 The Evergreen Premier League today announces the honorees of the third week of play with the #HometownSoccer Players of the Week awards for May 20, 2018. Seattle Stars FC’s Cody Buchanan (offense) and Olympic Force goalkeeper Cole Weaver (defense) were voted by league head coaches and general managers as worthy of note for their standout contributions to their sides. Cody Buchanan (San Jose CA, Seattle University) of Seattle Stars FC scored a hat trick to lead the defending EPLWA Champions in their 4-0 win over Vancouver last weekend. He was a solid winning choice for voters, but there was also support for the performance of Jake Levine, who scored twice for Spokane including their late winner at Tri-Cities. 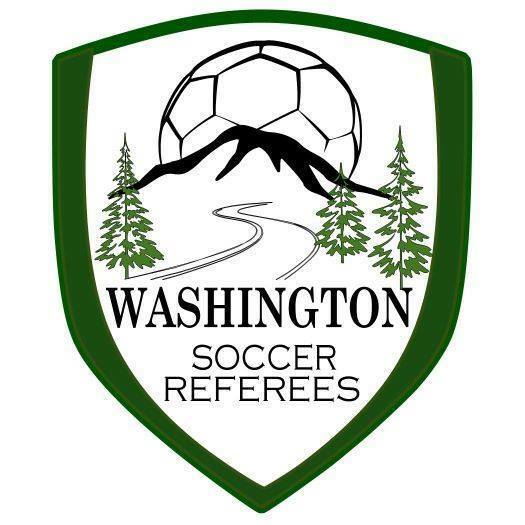 Cole Weaver (Ballard High, Pacific Lutheran University) of the Olympic Force was the unanimous choice for Defender of the Week with club coaches and general managers. The Force held on for a 1-0 win at Bellingham and Weaver held on to the ball to help it happen. His 13 total saves included 6 extended efforts as the Hammers sought an equalizer in the late going.